RAISE-IT takes up the results of strategic initiative CODE24 implemented in 2010-2015 within the INTERREG IVB NWE program of the EU. CODE24 conclusions recommended “increasing accessibility by integrating high-speed rail” and suggested that high-speed rail aiming only at maximum speed is not a viable solution for this dense corridor. Moreover, travel time savings can be best achieved with a multi-scale accessibility approach. RAISE-IT explores a multi-scale accessibility approach, and aims to cater for transport demand exchanging with the corridor at key nodes, in the areas around the nodes and across nodes. Consistently, there will be three scales of study: urban nodes, greater node areas, connections between nodes. 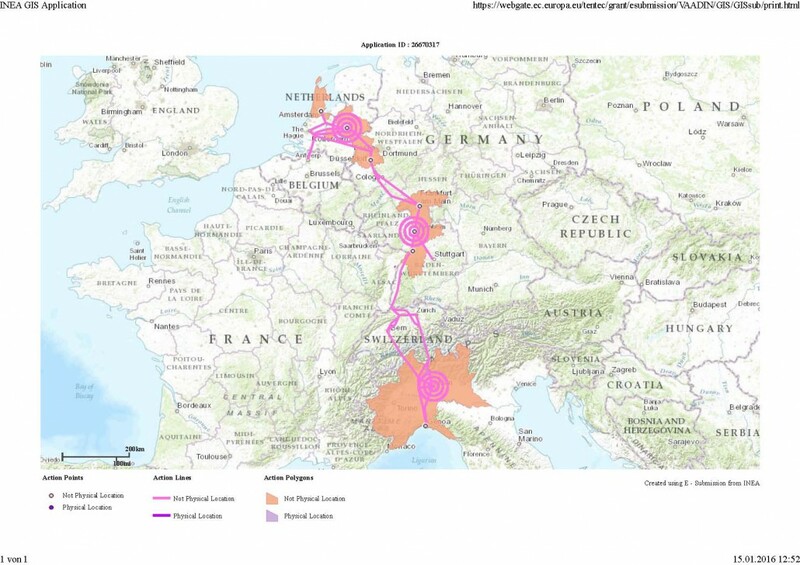 The ERFLS project with partners from The Netherlands, Germany and Italy developed an innovative European Rail Freight Line System (ERFLS) in combined rail-freight traffic on the Rhine-Alpine Corridor. ERFLS is part of a Global Project and builds further on the results of previous EU funded project CODE24.